For all the weather that’s to come, we’ve got you covered. Your home is your largest investment and keeping it protected from the elements with a strong, solid roof will help it keep its value and more importantly, keep your family safe. 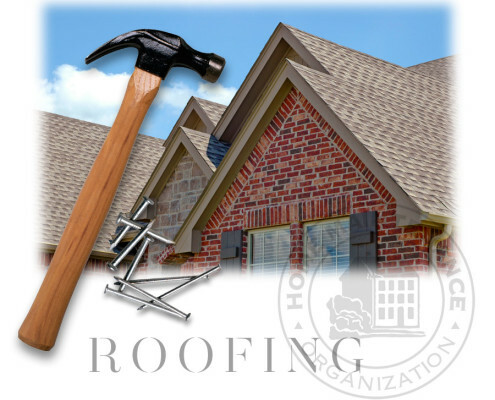 The Home Maintenance Organization has years of experience dealing with roofs of all types. We know when a roof can be repaired and when a replacement is needed. At the Home Maintenance Organization, our roofing experts have worked on everything from standard asphalt shingle and flat rubber roofing to high end copper and slate. You can ask for an on-site inspection and we’ll recommend the best type of roofing material based on your location and weather conditions. The most important aspect of a roof is the safety of you and your family. Keeping the elements from damaging your home year round is critical. Don’t take chances doing roof repairs on your own and risking further damage to the roof, or even falling. Let our roofing experts at the Home Maintenance Organization get up on that steep roof pitch and keep your home protected from the weather and looking great. Home Maintenance Organization is a residential property management firm serving homeowners throughout New England. We offer a complete subscription based solution for all of your residential property maintenance, repair and management needs. Our mission is to be the premier home maintenance firm by serving our clients a broad range of services, flexible plans and affordable prices. Through our years of extensive experience in the industry we strive to provide these services efficiently and reliably. We value the trust place in Home Maintenance Organization by the homeowner and strive to deliver the best property services available in the marketplace.